Dogs with scrunched noses, cute wrinkles, and large eyes have become increasingly popular. However, short-nosed breeds (also known as brachycephalic dogs), have additional needs versus a typical hound dog. Here, everything you need to know about brachycephalic dogs will be discussed. Brachycephalic generally means that an animal has a skull that is short and broad, with the width at least 80% of the length. The general characteristics of a brachycephalic dog are a significantly shortened nasal pathway, an elongated soft palate, dramatically restricted nostrils (stenotic nares), a hypoplastic trachea (abnormal growth in the trachea that results in narrowing), and everted laryngeal saccules (i.e. saccules that grow into the airway and restrict respiration). Which Dog Breeds are Brachycephalic? If being Brachycephalic is largely considered to be a bad thing, you might be wondering why dogs have these characteristics in the first place. Interestingly, many of the aforementioned Brachycephalic breeds (or their ancestors) such as the Japanese Chin are among the oldest known dog breeds in the world. In their original state, long before dog shows, these early dogs with shortened faces (relative to their wolf counterparts) were not as severely disadvantaged as they are today. 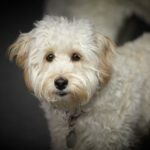 However, due to the relatively recent onset of breed standards and the “cute” factor of short noses, face wrinkles, and large eyes, these breeds have transformed from self-sufficient scavengers to animals that, in some instances, cannot exist without extensive human intervention. What are the Health Concerns of Brachycephalic Breeds? When choosing to purchase or adopt a brachycephalic dog there are a number of health concerns that potential owners should be aware of. Most commonly, brachycephalic dogs suffer from Brachycephalic Syndrome, which is a disorder that leads to severe respiratory distress in dogs. Each of the common physical traits displayed by short-nosed breeds contributes to this disorder. Brachycephalic Syndrome is most common in warm weather, during exercise, when the dog is experiencing stress, or any time the animal is unable to take deep breaths and adequately expel carbon dioxide. During an episode of respiratory distress the dog’s respiration and heart rates will dangerously increase, which can be life threatening. Dogs that are have difficulty breathing might require oxygen, transport to a cool area, sedation, and even intubation. Other symptoms of Brachycephalic Syndrome include sleep apnea, snoring, high pitched wheezing, skin discoloration (blue/purple skin caused by poor blood oxygenation), choking/regurgitation, and collapse. Many Brachycephalic dogs also have wrinkles on their faces, due to their shortened and upturned noses, which dog owners commonly consider to be cute. However, when not properly cared for these wrinkles can be breeding grounds for yeast and bacteria. Brachycephalic dogs require their skin folds and wrinkles to be frequently cleaned with a medicated solution in order to avoid these painful – and sometimes dangerous – issues from occurring. When dogs are specifically bred to have a shortened face, their dentition often suffers. Misaligned teeth or dental crowding are common, which can lead to pain and difficulty eating. 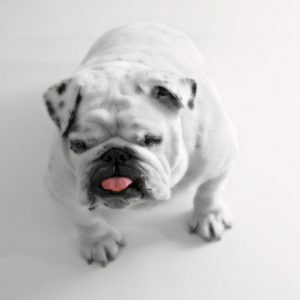 Oftentimes, brachycephalic dogs require more frequent teeth cleanings and tooth removals. Another common problem for dogs with shortened faces is Brachycephalic Ocular Syndrome. 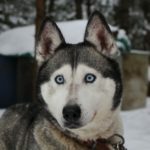 Due to the shape of the dog’s face and eyes, as well as the penchant for breeding dogs with large, doll-like eyes, these animals are sometimes unable to properly use their eyelids. Therefore, brachycephalic dogs can have difficulty producing natural tears because their eyelids do not close completely. In addition, nostrils and wrinkles can pose a hazard to these pets and rub against the dog’s corneas, causing injury or infection. Finally, another issue for Brachycephalic dogs, particularly Cavalier King Charles Spaniels, is Syringomyelia. This serious disorder affects the spinal cord and is characterized by the presence of fluid-filled sacs near the brain. This, and other conditions such as Chiari-like Malformation, is caused by a skull that is too small to comfortably house the dog’s brain. Severe headaches, pain, and neurological disorders can all occur as a result. If you are considering a brachycephalic dog and have plans for frequent air travel, it would be wise to reconsider any of the aforementioned dog breeds. Brachycephalic dogs are unable to safely travel by air due to their difficulty breathing. In fact, the majority of commercial airlines have banned short-nosed breeds from air travel. Dog owners that are considering purchasing a brachycephalic dog should beware that these animals do not tolerate heat well, even in temperatures that are considered comfortable for most other dogs. Due to their restricted airways, these breeds are unable to efficiently cool themselves. In high heat and/or humidity, brachycephalic dogs can suffer from heatstroke, even during a short walk. The majority of brachycephalic dogs can only tolerate short bursts of exercise and playtime. These breeds of dogs are not recommended for highly active people and families. Some canine experts question whether the breeding of certain Brachycephalic breeds is ethical, due to the number of health concerns these animals experience. In addition, some dogs, such as Bulldogs, are unable to mate and birth without human intervention. Due to the extreme exercise intolerance of this breed, the majority of female Bulldogs must be artificially inseminated. Additionally, the width of the brachycephalic dog’s head makes a natural birth difficult, as the skull does not easily fit through the birth canal. For this reason, most Bulldogs are born via expensive (and sometimes dangerous) Cesarean Section. If you have your heart set on a Brachycephalic dog, there are certain ways that you can mitigate the associated health risks. First and foremost, if you are not concerned whether your dog is purebred, consider a mix between a Brachycephalic and non-Brachycephalic breed. For instance, a Puggle is a Pug mixed with a Beagle. This crossing produces a more robust, longer nosed dog that still has many of the cute characteristics of a Pug. Cavalier King Charles Spaniels mixed with Cocker or Springer Spaniels often have the same adorable characteristics of the brachycephalic breed, but with fewer health concerns. If you would prefer a purebred dog, make sure to research potential breeders. Do not purchase a dog from anyone who breeds exaggerated, short noses, excessive wrinkles, or excessively large eyes. Never purchase a Brachycephalic breed from a pet store, flea market, or from an online ad, as these dogs are likely to be from puppy mills or backyard breeders, and will be at a significantly higher risk of inheriting serious genetic diseases. To find an ethical breeder of a brachycephalic breed, inquire with a veterinarian or a local chapter of the American Kennel Club, United Kennel Club, or other national breed organization. Ask to see health certifications for the parents of any puppies you are interested in purchasing, particularly for eye health and related genetic disease, such as Syringomyelia. Ultimately, potential owners of any brachycephalic breed should be prepared to pay more for an ethically-bred dog, as there is significantly more care that goes into producing a healthy litter of short-nosed puppies. Finally, once you have purchased or adopted a Brachycephalic dog, you should be aware that there are more costs associated with the care of these breeds. Even well-bred brachycephalic dogs can require expensive surgeries, such as widening of the stenotic nares. Care must be taken to ensure that these dogs do not overheat or over-exercise. For certain dogs, such as Bulldogs, houses with air conditioning are mandatory. 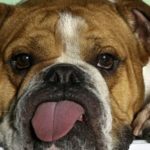 In general, Brachycephalic breeds tend to cost their owners more in veterinary bills than other dogs, as their unique head shape makes them prone to more dental problems, eye infections, and respiratory illness. Indeed, French and American Bulldogs are listed as two of the most expensive dog breeds, based on canine health insurance reimbursements! Ultimately, Brachycephalic dog breeds are among the most loving, gentle, and laid-back family pets. However, any potential owner should be fully aware of the additional costs that go into keeping these pets healthy. Regular medication and veterinary visits can be a way of life for brachycephalic pet owners, and many of these breeds have shortened life spans due to their difficulties. 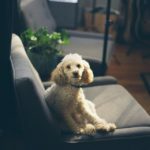 If you are strongly considering one of the aforementioned dog breeds, consider how much money you can budget for unexpected veterinary care, or consider taking out canine health insurance when your pet is young. Finding an ethical breeder is of utmost importance, as is regular preventative care!